Let’s just put the price tag out there to clear the air. My silver Lexus LS 600h L listed for $119,910 and settled at $135,029 after adding copious high-end options. 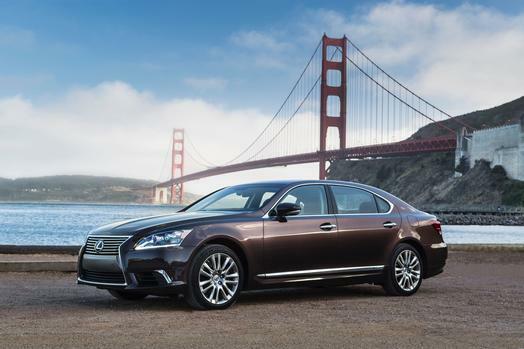 As way of background, the LS is THE Lexus flagship, its full-size sedan and an absolute dreamboat of a car to drive and ride in. Its ride is air-suspension smooth, its interior a mansion library’s leathery quiet, its V8 powerful yet quiet, its adaptive 8-speed automatic transmission as creamery smooth through the gears as any car I’ve ever driven. Oh, and this handsome sedan is a big boy too. That L means it has a longer wheelbase than the standard LS. That translates into a roomy interior, but just for four adults as the back seat’s middle section houses a Starship Enterprise sized console of buttons and knobs that could confuse even Captain Kirk. Where’s Spock when you need him? But beyond the car’s exquisite drive and ride abilities the star here is the price tag. That’s all ANYONE wants to talk about once they get their sticker shock. Or maybe we should call it sticker Envy! Their question was always the same, or similar – What do you get for $135 grand, AND is it worth that much? 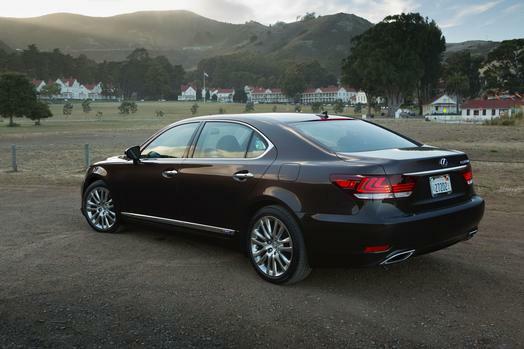 Well, what you get beyond the $72 grand base rear-drive LS 460, itself a delight, is incredible. First, the L is five inches longer and rides on a giant 121.7-inch wheelbase, sort of a personal limo, and has all-wheel instead of rear-wheel drive. Plus you may have noticed that H in its name, which signifies it’s a hybrid. That’s right, in addition to the 398-horse 5.0-liter V8 there’s a 221-horse hybrid system here. Combined that provides 438 horses. I know that doesn’t add up, but trust me, when you combine the two systems it’s not exactly the sum total of the two. Trust me again, the combo is plenty powerful to move this 5,115-lb. car. Add to that an electronic continuously variable transmission and the power delivery to the wheels is as silky smooth as anything on the road. Tromp the pedal and this monster will hustle too. But there are other smaller hybrids out there and they don’t cost this much, so what gives? OK, there’s a lot more. There’s that AWD that gives the LS great traction and vented discs that give it superb stopping power and an electronic drive-by-wire system that eliminates a throttle cable and smoothes power delivery. There’s an adaptive air suspension system that allows you to dial in your ride. Comfort is the best, while Normal is fine and there’s little difference between them. Then there’s Sport that firms things up for highway driving or jaunts along winding roads that lead to your villa. Right, right … I know a lot of luxury cars offer this sort of stuff for $50-$70 grand. What else? Inside there’s a Mark Levinson 450-watt stereo system with, get this, 19 speakers. There’s a Blue-Ray DVD system with a screen that folds from the roof in the back seat, although even with the owner’s manual I couldn’t figure that system out. My chauffer likely would do that for me, if I owned the LS. Fancy radio, fancy navigation and more. The navigation system has real time traffic reports too and there’s pre-wiring for your phone. Outside the HID headlights have a washer system (although no little wipers like Audis had years ago), and there’s perimeter lighting to keep you safe as you enter the car. Sure, but what about the good stuff, the cool stuff? Well, you’ll surely be warm because the front and rear seats are both heated (and cooled), plus there are heat ducts in the roof and B pillars to help keep your precious cargo in the rear seat comfy. 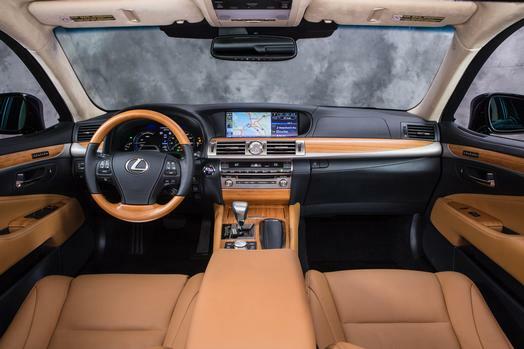 Lexus includes reading lamps for both the front and rear seat occupants, so if you need to read an annual report or see your stock results you’re covered. Snazzy lighted mirrors also fold from the roof in back for rear seat riders too. C’mon man, what about the electronics, the gadgets the whiz-bang features. Sheesh! OK, two option packages add more than $14 grand to the cost, but deliver those goodies. For instance, there’s an advanced pre-collision system with dynamic radar cruise control. Adaptive cruise control looks out ahead of the car with radar to adjust your speed if someone pulls in the lane ahead of you. It can be a safety feature, but also annoying. On the freeway you’ll find your car constantly slowing as people lane hop in front of you. So while you’re cruise is set at 65 mpg, you’ll average closer to 60 as the car keeps decelerating due to the hoppers. There are sensors too so you know if you’re too close to things and the car will decelerate and give you a warning if it appears you might bang into something. Supposedly infrared cameras also watch for pedestrians. Luckily I didn’t test that feature. 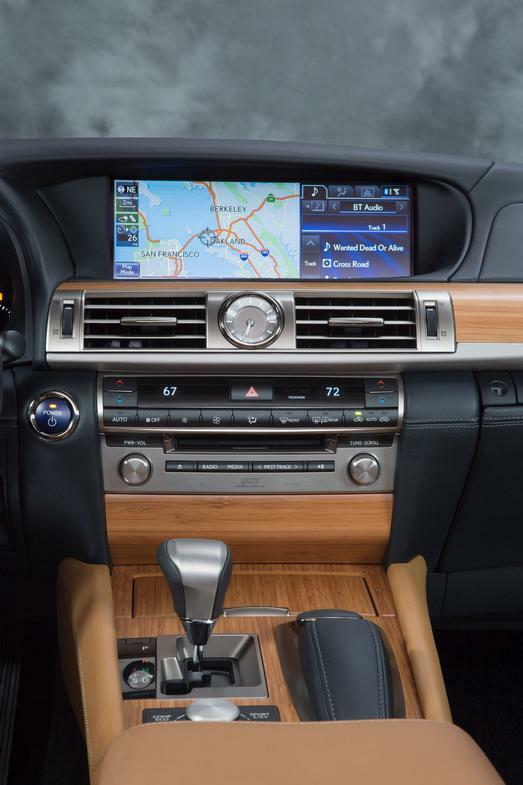 No denying the LS’s interior is gorgeous, with wood trim and leather seat, plus a wood/leather steering wheel. A driver attention monitor will warn you if you’re wandering from your lane or dozing too. I suppose that’s a greater risk in a car this quiet and comfortable. I could have slept in its black leather interior overnight and been perfectly happy. I mean even the doors and dash have some padded leather inserts and textures.But making sleep even easier, and what EVERYONE wanted to talk about, or try, was the massaging rear seat. That’s right, just one seat. The right rear seat had a power footrest and full seat massaging feature that could help even the highest stress Type A CEO to calm down. Oddly, the left rear seat only vibrates a bit and also is warmed and cooled. I guess there’s no room for two at the top. Ironically, a Mercedes CL550 I drove a few years back had two massaging front seats and cost “just” $128,000. One can argue that you don’t want too much relaxation from the driver, but the Mercedes system was marketed as a way to keep a driver awake. Whichever, at this price I’d still expect two such seats, front or rear. In any case, the giant starship rear console also includes a wood trimmed table that folds over it so you can work in the back seat, and all those buttons and dials allow rear seat folks to control radio, heat and power rear and side window sun shades. The big console between the front seats also allows the driver or front seat occupant to power the front passenger’s seat back and the entire seat forward. This mainly helps give that special right rear seat passenger more room for his or her power footrest. While the LS is exquisite, no review is complete without finding a few faults, or making a few suggestions. Beyond providing a full rear seat massage, owners may find the 10 cubic foot trunk dinky in comparison to the rest of the 17+-foot long car. And while this is a hybrid, I managed just 16.4 and 18.4 mpg, the later about 70% highway driving. The EPA rating is 19 mpg city and 23 highway. I’m not seeing a big benefit to the hybrid, other than the PR you get from the H on your trunk. Also, the sticker lists the trunk’s mat at $105 and cargo net at $64 extra. I hope that’s a joke. If those don’t come with my $135,000 car, the deal is off! Then there’s all the electronic controls, including a goofy mouse to adjust the radio. These are distracting and not easy to use while driving. I expect better from luxury car makers. Finally, this being a hybrid the engine doesn’t warm as quickly as a standard car’s, so the heat takes much longer to come on. Granted, you have bun warmers and the steering wheel is heated, but I like toasty toes. 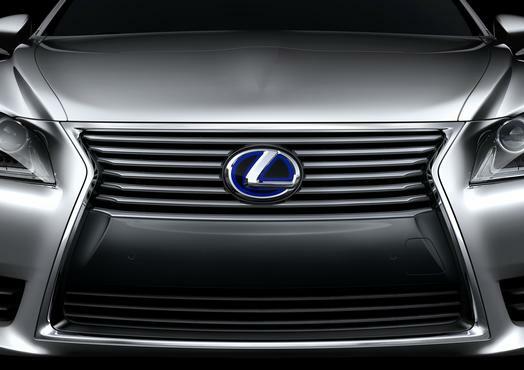 This grille and that L logo deliver the luxury message. Are there more goodies and pluses?Sure, but I only have so much space. Suffice it to say this is a special car for special people. You may recall that the first 100 LS 600h L models sold in the U.S. were offered exclusively to Neiman Marcus catalog’s InCircle members. Those of us outside the circle are still pondering cashing in our 401k’s for a down payment. Hits: Superbly comfortable and quiet interior with silky ride and smooth power. This has ALL the bells and whistles, and then some, with a massaging reclining rear seat, power sun shades, etc. Misses: Monster price and gas mileage still is poor despite hybrid. Only one of the rear seats is massaging at this price. Really? Controls are excessively complex, like launching an aircraft carrier via a video game. Oh, and the trunk is small and heat slow to come on.